Hi, there! 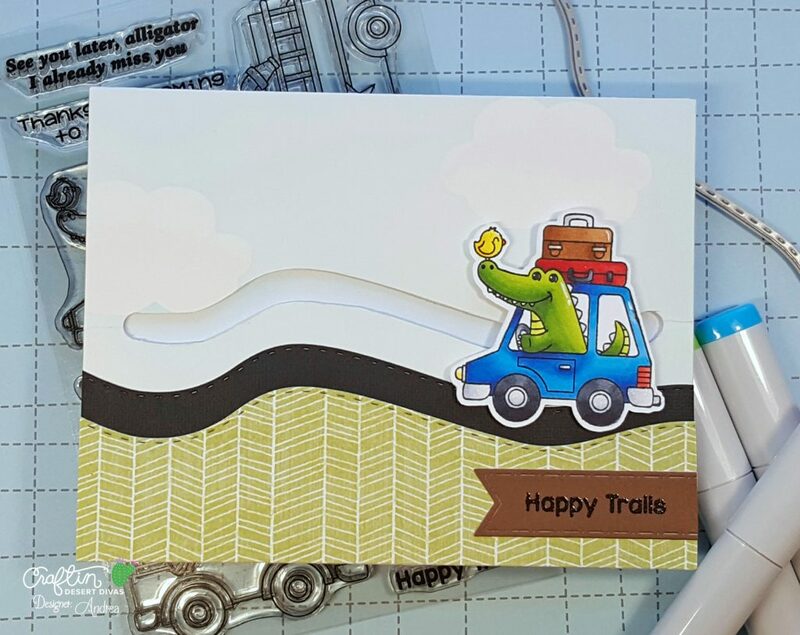 It's Andrea from Blissfully Scrappy here to share a fun slider card featuring a new set called Happy Trails. This set is perfect for slider cards! I stamped my image with Memento Tuxedo Black Ink, colored it with Copics, and cut it out. I added some details with a white gel pen and some Zig Wink of Stella for sparkle. To create the sky, I made a cloud mask by drawing a cloud onto some masking paper and trimming it out. I placed the mask on top of my background panel before ink-blending with Tumbled Glass Distress Ink. Using one of the Outdoor Landscape Dies, I die-cut a road from black cardstock and a hill from some patterned paper. I placed those onto my panel, along with my colored image, to decide where to put the slider portion. Using that same die, I traced where my slider would go. I punched a hole at each end of the traced area and cut it out with my Xacto knife. I adhered the road and hill to the panel before assembling the slider. To make it, I punched two 1" circles from cardstock, placed one behind the panel, and glued the slider element on top. I adhered the other circle on top and added my stamped image to that. The panel was backed with foam tape before being added to a card. I die-cut a tag with one of the Flag Banner Dies and heat-embossed a sentiment from the set before gluing it to my card. For more inspiration and to see the other great products being released this week, be sure to head over to the Facebook page! All of the new products will be available for purchase on Thursday. 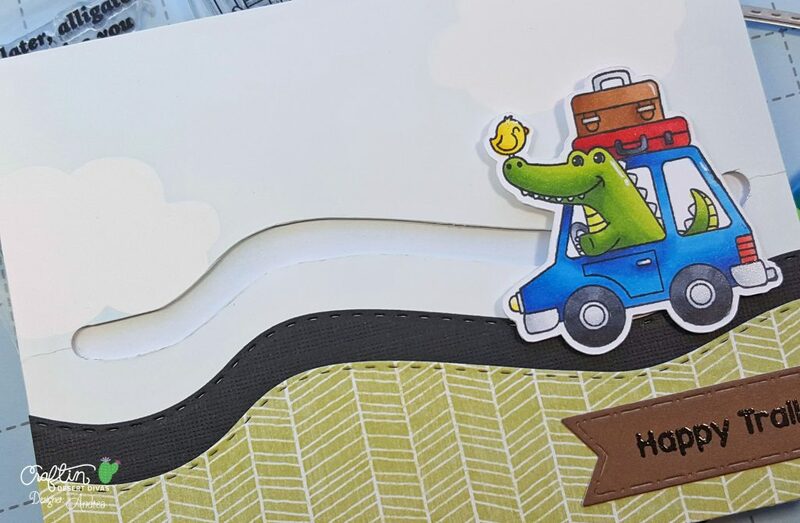 Such a fun and cute slider card, and love the cute critters! !